Update on my YouTube case: Tory Minister backs me! I spent most of the day yesterday in a conference room, then spent the evening meeting Green Party members in Crawley from our Mid Sussex, Crawley and Horsham branch. Whilst waiting for a train I was astonished to discover support for my position from a Conservative minister! Indeed! The comments on the ConservativeHome piece are a fun read too. Additionally Liberal Democrat MP John Hemming, who has long campaigned on the inadequate councillor Standards Board regime, is supporting me and has helped me in preparing my case. John was a councillor for 17 years and Deputy Leader of Birmingham City Council for a time. To briefly recap on the story so far: Back in February 2009 a Conservative councillor filed a formal complaint that I had breached the councillor code of conduct when I put videos, already publicly available on the council’s online webcast system, onto YouTube. A Standards Committee hearing panel consisting of two councillors (Labour & LibDem) and chaired by an independently appointed member decided that I had breached the code. Unless I apologised to Cllr Theobald (one of the councillors in the videos) and submitted to re-training I would be suspended for 6 months. I immediately appealed this decision to the First-Tier Tribunal. The Tribunal’s principal judge agreed to hear my appeal and suspended the sanctions until the hearing. The Council have decided to oppose my appeal and to hire outside counsel (costing thousands in tax payer funds) to fight me. In the meantime I have received widespread support across the city and further afield. Mark Pack on Liberal Democrat Voice filed a very supportive post. As have Brighton Politics Blogger, UNISON branch secretary Andy Richards, Gez at Delib and local musician Chris T-T. On Twitter I’ve received messages of support from Labour and LibDem activists. The Argus have covered the story here and here. E-government Bulletin also reported on the story, with interesting discussions in the comments including someone from the council’s webcast supplier Public-i. Mary Mears, the gaffe prone leader of Skidrow-on-Sea council who won a 2009 Rotten Boroughs “compassion in the crunch” award for expressing sympathy from the deck of a cruise ship for 150 staff she had just sacked (Eye 1253), has put her foot in it again. 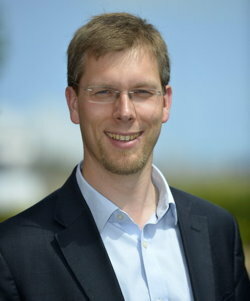 Last year, Brighton and Hove’s Tory supremo took umbrage at the fact that Green Councillor Jason Kitcat had posted video clips of council debates on YouTube and his blog. The footage – already in the public domain via the council’s own website – mostly consisted of Kitcat giving Skidrow’s Jag driving cabinet member for the environment, Geoffrey Theobald, a hard time about communal rubbish bins, a fascinating subject close to Cllr Kitcat’s heart. Theobald was not fussed, but Mears leaned on an obedient stooge, Cllr Ted Kemble, to complain absurdly to the council’s standards committee that Kitcat had “failed to treat Cllr Theobald with respect” and had used the council’s resources “improperly for political purposes”. More than a year later, the panel has found Kitcat guilty n the political purposes charge and decreed that he should, er, have a break in the form of a six months’ suspension unless he apologises within 28 days. Which he has no intention of doing. Updated 14:30 9/9/10 to add information about John Hemming’s support. As a Conservative through and through I just wanted to offer you my support on this. Not quite as important as a Tory Minister but I know lots of other Conservatives who think this is utter madness. Thanks for your support, Tory or not, much appreciated! As a Lib Dem councillor, I was pointed to your post via a link on Lib Dem Voice. This seems utterly ridiculous and over the top – good luck to you in your appeal. To show that pedantry is alive and well in Unison, I’m branch chair not secretary, but good luck anyway. It would be interesting to know how much has been spent on this. Thanks for your support Andy – I stand corrected re your title!